More than two weeks since the abduction of Malaysian Christian pastor, Raymond Koh, his son has filed a second police report on suspicion that his father has been murdered, reports Free Malaysia Today. Jonathan Koh said the reason for the report was the lack of information or a ransom demand, even though the family had offered a reward of RM100,000 (about $22,500). CCTV footage obtained by the Koh family shows a well-executed operation involving five cars and two motorcycles. The masked men kidnapped Koh less than 100 metres from a police complex. The abduction comes against a background in the country of pressure against non-Muslims, reports Lapido Media. This week the Malaysian parliament began its debate of a bill to empower Sharia courts which would pave the way for enforcing hudud – Islamic corporal punishment. The private member’s bill was proposed by Abdul Hadi Awang, president of the Islamist Pan-Malaysia Islamic Party (PAS). One of the party’s main political agendas is for the full implementation of Sharia. 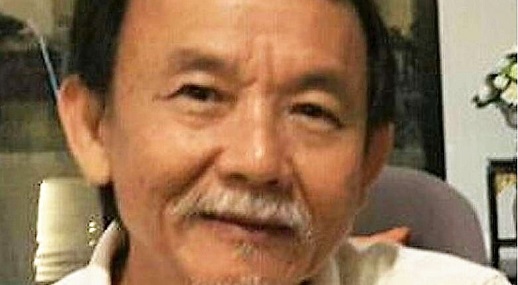 A Malaysian church leader is still missing two weeks after he was abducted. Raymond Koh Keng Joo, 62, was taken by masked men in the city of Petaling Jaya, near Kuala Lumpur, on 13 February. No-one has claimed responsibility for his kidnapping, nor have there been any ransom demands. Witnesses reported that there were at least five abductors, who were driving black 4x4s, and that one of them calmly filmed the incident while another stopped traffic. The whole incident was reported to have happened within a minute. Two weeks on, local friends say they’re disheartened at the lack of information and progress from the police, who at first refused to file a “missing person” report, despite witnesses to the abduction. Police have now formed a task force to investigate the case, which is believed to have religious connections. Despite having taken statements from eight witnesses, Malaysiakini.com reported, the task force have found no new leads so far. Supporters suspect the kidnap may have been religiously motivated. Koh’s family has offered a reward for information leading to his release. At first, they offered RM10,000 (around US $2,250), but that amount was then increased tenfold to RM100,000 ($22,500). His wife, Susanna, 61, told The Star she has struggled to sleep since her husband’s abduction and fears for his life. “I don’t know what is happening. I appeal to whoever has taken him not to harm him,” she said. “He is a good husband, father and pastor, who helps the poor. “My husband has been involved in Harapan Komuniti, a community work project which he set up more than 10 years ago and which involves giving free tuition classes to children and English lessons to adults,” she added in an official statement. In 2011, Mr. Koh was questioned after being accused by the Selangor Islamic Religious Department of trying to convert Muslims to Christianity, following a raid on a fundraising dinner at the Damansara Utama Methodist Church. That case was eventually dropped due to a lack of evidence. Police said they are “looking at his personal history and background to see whether he might have received any threat”. A friend of the pastor told The Star that six years ago Koh received a bullet in the post and reported it to the police. However, the friend added that there had been “no other death threat since”. Susanna Koh has told Church supporters: “My children and I are very anxious … But I am very thankful and overwhelmed by the love and generosity of God’s people. So many messages of support and encouragement have come in. God is good. He is faithful. The chairman of the Christian Federation of Malaysia, Rev. Eu Hong Seng, also released a statement, saying: “Members of the community pray the authorities would be able to locate Koh… We ask the authorities to conduct a quick and thorough investigation into this incident and bring to justice its perpetrators. A message was later circulated on social media claiming the pastor had been freed, but his wife condemned the rumours as “fake news”. “We are saddened and anxious that there is fake news circulating that Pastor Raymond has been found and returned to the family. There is no truth to this,” she told The Star. A petition to the Malaysian authorities and police to find Koh has been set up at Change.org.